The upside of Netflix being shut out by movie studios from streaming new Hollywood movies is that they have had to look high and low for content. The low has been some putrid indie films. The high has been some great British television. An example of the best is a British television series called “Black Mirror.” There are only six episodes available, but they are well worth your time. Black Mirror has been described as an anthology series like The Twilight Zone, and it does have some similarities in that each episode is thought-provoking and often deals in moral or ethical issues. It’s set in the near future and technology plays an important role in each episode. For example, there is an episode called “The Entire History of You” that envisions a time where we all have video recorders attached to our eyes and implanted in our heads. This allows us to play back everything we experience at will on nearby television screens. While this instantly settles disputes about what people said, it also causes lots of problems. For example, the question “where were you last night?” is not simply answered by words any longer. Now we go to the videotape to actually see what you saw last night. It’s an intriguing concept and one bound to improve honesty. But a young couple with trust issues finds the pitfalls of having all this “evidence” to dwell on. Another episode that really struck me was one called “Be Right Back” in which a man tells his wife he’s just going out and will be right back, but then gets killed in an auto accident. At the funeral, a friend tells the widow that there is a service available that takes all of a person’s online activity (pictures, emails, tweets, etc.) and creates a humanoid in that person’s form that has that person’s personality including memories, vocabulary and sense of humor. She urges the widow to simply re-create her husband from his online persona. After some initial misgivings, she agrees. 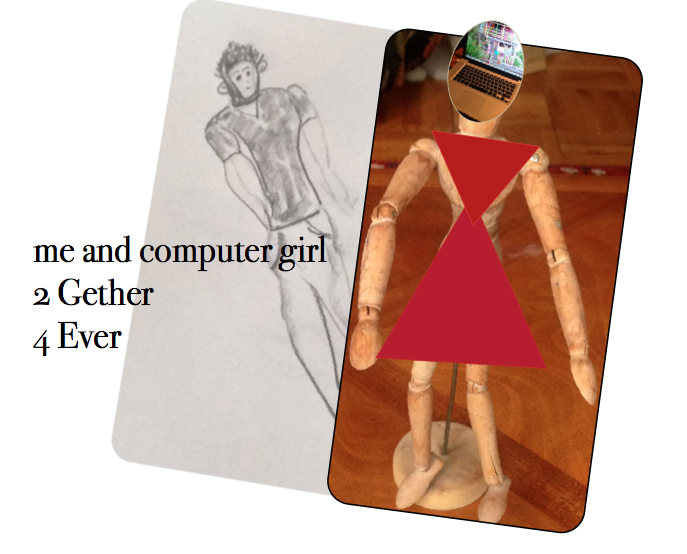 The humanoid arrives and is indistinguishable from her husband and has all his online memories. But there are problems in any human-humanoid relationship and the episode shows them and how they are resolved. The episode seeks to explore the question whether a person is really just the sum of his online communications. By the way, the widow is played by Hayley Atwell, whom you may know as Agent Carter in the recent ABC television series. The “Be Right Back” episode reminds me of another film that explored the romantic relationship between man and machine. It is the 2013 Spike Jonze film “Her” starring Joaquin Phoenix and the voice of Scarlett Johansson. There, Phoenix plays a man who literally falls in love with the Siri-like voice of his computer. This is not as far-fetched as it sounds. As computer assistants become more and more sophisticated, we are encouraged to think of them as persons. That’s why they have names. But any relationship between artificial intelligence and real intelligence is bound to be fraught with problems and that is what “Her” shows. Can a person be in love with a dis-embodied voice or is a body necessary? If you think about it, this is not a new question. In the past, there have been dis-embodied, long-distance relationships by mail or later telephone. Most of these did not work out once the parties met face to face, because real life is different from the intellectual life. About six months ago I wrote about the peril of mistaking a life online with a real life. I urged readers to “Friend someone who lives in your neighborhood, rather than on Facebook. Deliver a Tweet in person. Interact with flesh and blood people and not just their avatars.” Television programs such as “Black Mirror” and films such as “Her” show why artificial friends are as unhealthy as imaginary ones. It’s easy to be seduced by technology. That voice on your phone sounds so real. It’s always polite and helpful. Real people can be bothersome, rude and even hostile. But ultimately an online relationship is a fantasy. And living in a fantasy world, you always run the risk of a rude awakening.